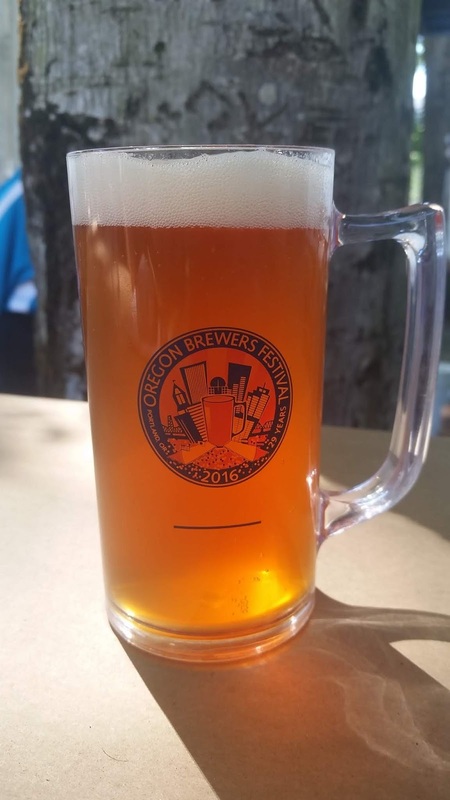 The 31st Annual Oregon Brewers Festival kicks off on Thursday at Tom McCall Waterfront Park. For those paying close attention, you'll notice that it's one day later than in recent years. 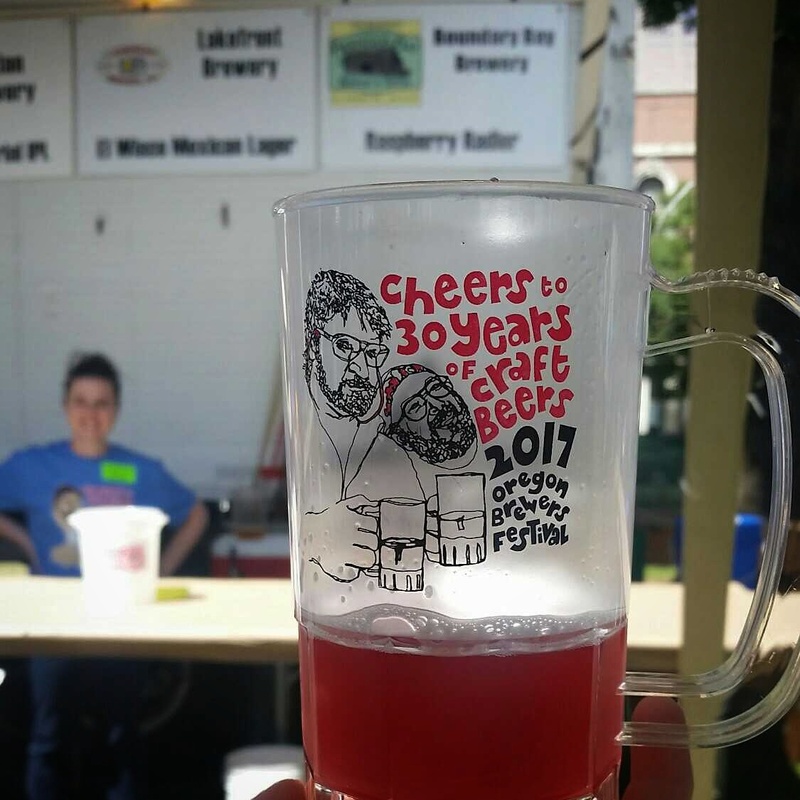 The festival has scaled back from a five-day event to a four-day event for multiple reasons but has added a couple wine and cider options. 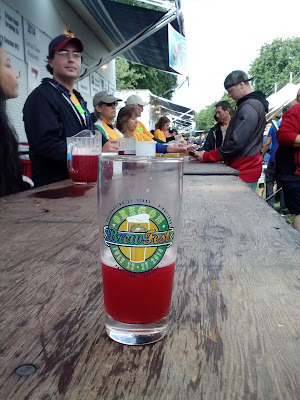 A perusal of the beer list shows plenty of IPAs and a fair number of fruited beers that are made with guava. It's going to be a warm OBF so those lighter beers took on a particular shine as we compiled our hit list. Taking into consideration the number of beers we anticipate being able to consume during one visit, we divided our list of 45 beers (of the total 80+) into Tier 1 and Tier 2 (and further divided them by South and North tents). 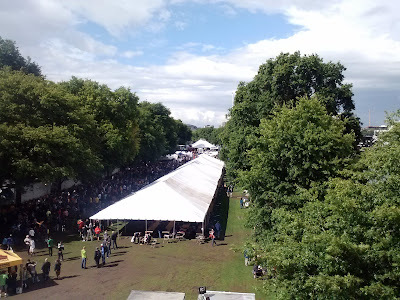 Our plan is to make it through as many of the Tier 1 beers we can and count ourselves lucky if we are able to return for a second day to take on Tier 2. 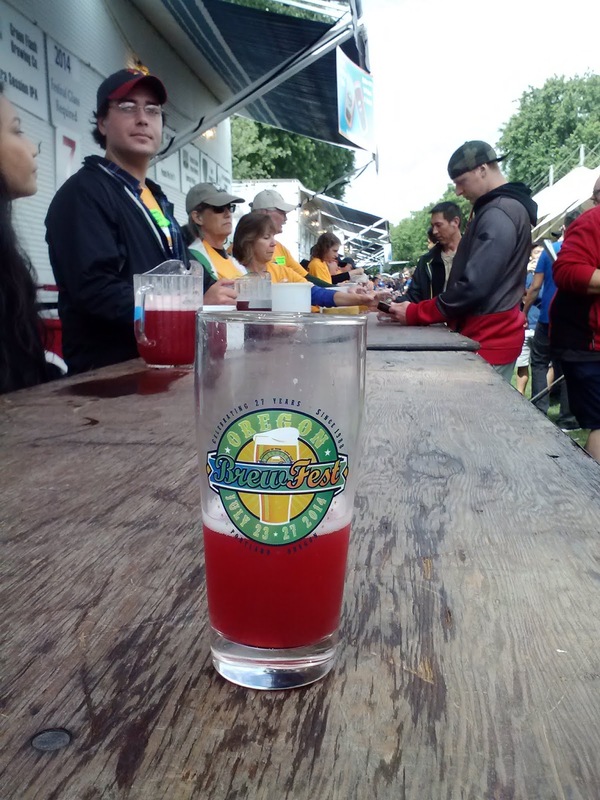 For ease of checking in when we're at the festival we've created a wish list in Untappd. Following our check ins and comments there will be the quickest way to see what rings our bell. We will also try to get a quick post up here or on Facebook after our first visit. No promises though because, well, you know how attending a beer festival can reduce one's motivation. Nope, we haven't started covering the opening of new places to do your grocery shopping. West Coast Grocery Company is in fact a brewery located in the heart of inner SE across Stark Street from Beer and Meat Cheese Bread and kitty corner from Revolution Hall. The name speaks to times past when the heart of the neighborhood was the corner grocery and in fact the owners' family has a history in the Northwest wholesale grocery business dating back to 1891. Occupying the corner space of the building, the brewery features a sunken brewing floor that is open to the main level of seating, accessed by entering from street level. The bright space is made up by a combination of tables and bar rails on the perimeter. Go up a short flight of stairs from there and one reaches the second seating area where the bar is located. In addition to more tables there is a cozy living room like seating space as well as a shuffle board table. WCGco has brewed a handful of beers with local breweries - Laurelwood, Breakside, Level, Baerlic and Victor 23 - that they will be pouring with guest beers from their 12 taps. As it turned out we had already tried the collaboration with Level, a Norwegian take on a Grisette, while at Level. An easy drinking 4.3% and exactly what we would expect from the style, it's great for warm weather drinking or the start of any session. As good as that was, we opted to try a couple of others that we had not yet tasted, starting with the hazy IPA collaboration with Victor 23. Fuzzy Balls Hazy IPA clocks in at a moderate 6% and features a pleasant hop presence. The other IPA available during our visit was Bo-De-Ga, a collaboration with Breakside. As expected from such an IPA powerhouse, this is a solid IPA that fans of Breakside's beers should enjoy. 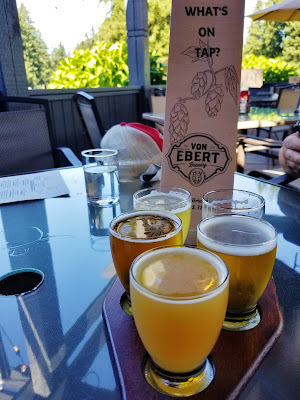 While they were out of the Laurelwood collaboration (a pale ale) and we didn't get around to the Baerlic (a pilsner), this initial line up offers a well rounded representation of styles. To accompany the liquid libations their kitchen offers a small but something-for-everyone menu of snacks, salads, sandwiches, wings and burgers. 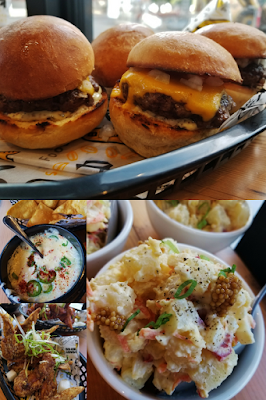 At the preview we attended we were able to try a slider sized version of their burger, wings (both garlic soy and sweet & spicy), fries with Portland ketchup and spicy feta dip, potato salad, won ton chips, pork cracklings and jalapeno nacho cheese. All were well made with our favorites being the burgers and anything coated with the addictive jalapeno nacho cheese. The soft opening takes place today, July 24 5 - 10 pm, with the grand opening scheduled for Thursday, July 26. Follow them on Instagram or Facebook for the latest updates on both events. Today is the grand opening for Von Ebert's second location, located next to the Pro Shop of the Glendoveer Golf Course at NE 140th and Glisan. 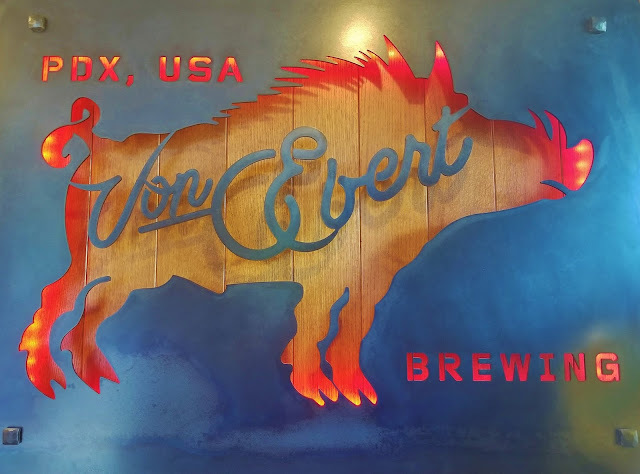 The space housed the RingSide Grill up until last August and has been re-imagined by Von Ebert with lodge-style decor. 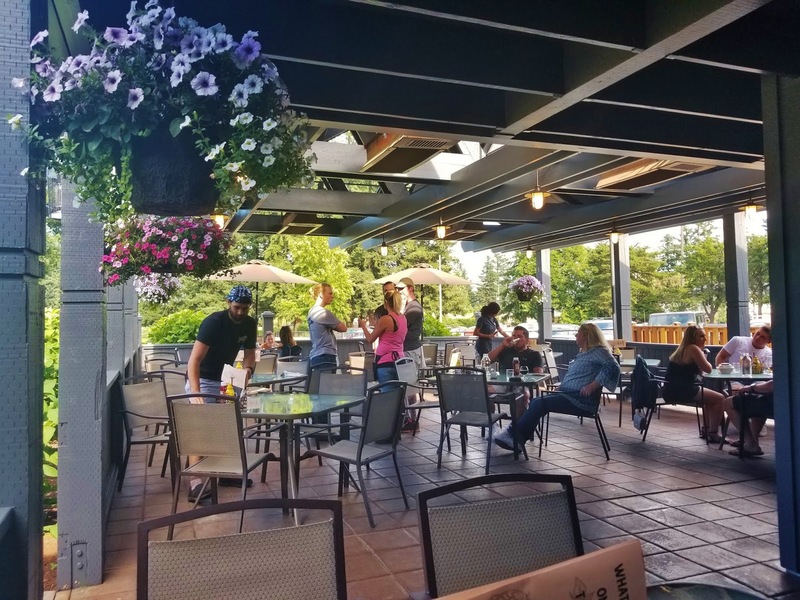 The large bar dominates the main room inside, with additional seating in a second room and on two patios for a total of nearly 250 seats. We had a chance to check it out over the weekend and even with as warm at it was, sitting on the covered patio with a view of the 10th hole the golf course was very pleasant. For those that have been to the downtown location the food menu will look very similar, with a couple of location-exclusive additions. The beer menu is currently similar as well, but will become more distinctive once brewing starts on the JVNW built 3.5bbl system this fall. The plan is to focus on German lagers, Saisons, Belgian-inspired beers and spontaneous, mixed culture and sour beers. Utilizing space that isn't available at the downtown location they will be able to have multiple foudres, wine puncheons, a coolship and barrels also. Having enjoyed the food downtown previously, this time we made sure to choose items we hadn't tried before. 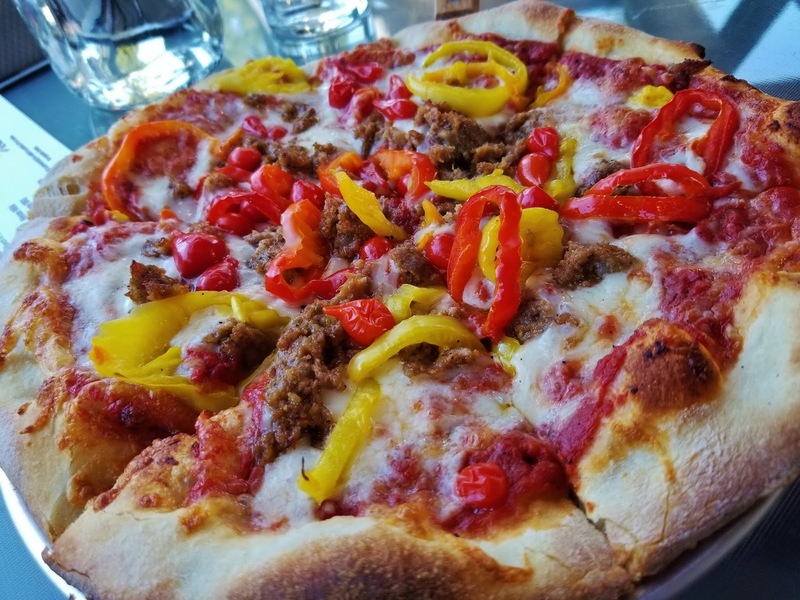 In an effort not to avoid over order, we went with the sausage and peppers pizza and an order of onion rings. As it turned out we would have had plenty if we had only ordered the onion rings, a huge basket containing some of the largest onion rings we've seen. Perfectly cooked with a breading that didn't flake off, accompanied by a chipotle BBQ sauce and ranch, and in no way greasy, this is the standard all future onion rings will be judged against. The thin crust pizza popped with color from the peppers and got a hearty flavor from the sausage. Enough for two people to split, or one hungry person on their own, it makes for a great combo with the beer. On the beer side, we also tried to order new-to-us beers although we did end up with one we'd tried before. The 12 beers available ranged from Pilsner to IPAs, all the way to an imperial barrel aged stout. Das Dom, the "repeat beer," is a Kolsch-style, session beer that starts with a bit of a sweet aroma but drinks less so and tasted particularly fine on the patio. We were split on which beer was our favorite with the tie being between Sabrage and Chapter 3. Sabrage is a Brut IPA, a style that seems to be popping up all over as a bit of a correction from the [over] abundance of hazy IPAs that have recently come into favor. The light aroma was followed by a juicy and refreshing flavor and clocked in at a moderate 6.1% ABV. 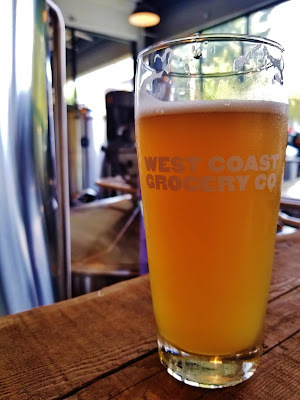 Chapter 3, a West Coast IPA, showcased the deliciousness of Simcoe, Mosaic and Azacca hops, again with a moderate ABV of 6.4%. Had we not been so full from the food we may well have enjoyed an extended patio session alternating between these two. 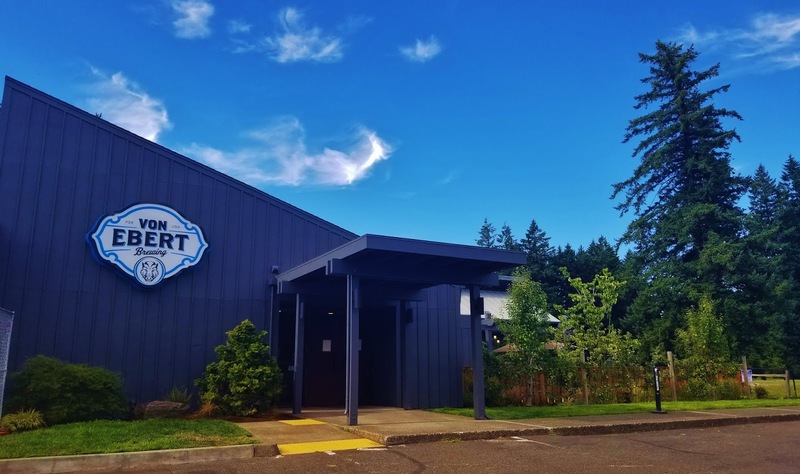 While this new location is a bit further out, for those who tend to focus on inner Portland, the trade off is a relaxed golf course setting that can be enjoyed year round with ample, free parking. 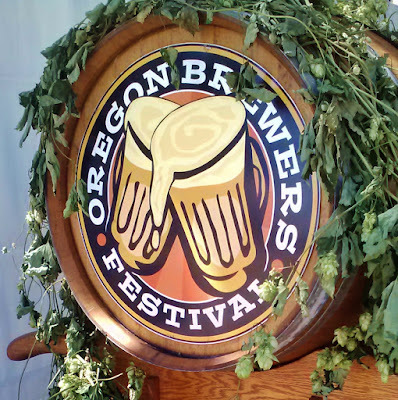 Plus, once the brewing system cranks up later this year, they'll be putting out sour and mixed culture beers. With head brewer Sean Burke's background at The Commons we expect to see some outstanding beers being produced and are excited for many return visits.